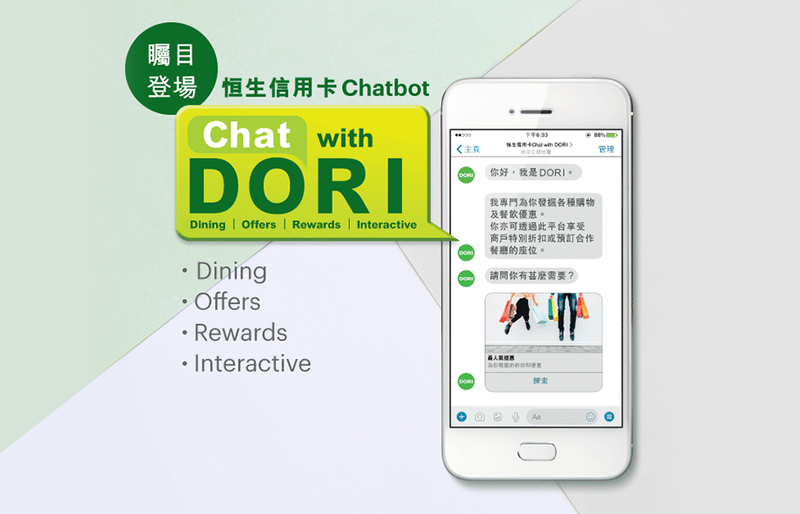 New Digital Noise is excited to announce the launch of Hang Seng Credit Card Chat with DORI. After a year of development with the client, from concept to launch, it went live on 11 January 2018. DORI (“Dining; Offers; Rewards; Interactive”) is an AI chatbot that will provide customers with a faster, simpler and more convenient service experience.